The latest version of AutoTURN and AutoTURN Pro has just been released! 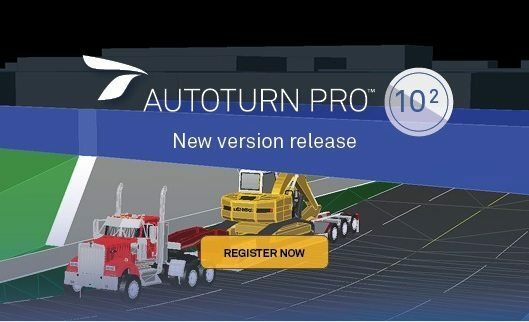 AutoTURN 10.2 adds an option to perform reverse maneuvers for tractor-trailer combinations and updated vehicle libraries. For AutoTURN Pro users, 3D clearance analysis capability is even more flexible, and IntelliPath automation has also been improved.